A spinal cord injury is life altering. Usually, victims are paralyzed to some degree and face permanent disability. They may be unable to work at the same time that their medical expenses are skyrocketing. 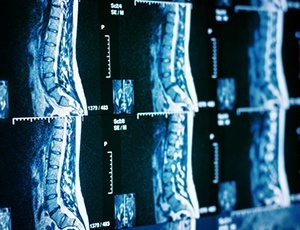 When the trauma that caused the spinal cord injury was the result of negligence or misconduct, injured persons may be able to recover damages, medical expenses, lost income, and other costs needed for their future care. At The Law Offices of Suizi Lin, we know that spinal cord injuries have a devastating effect on the finances and emotions of the injured person. That is why our spinal cord injury attorneys offer comprehensive legal assistance. Our attorneys handle all the legal aspects of the claim so that the injured person and the family can focus on recovering to the extent possible. To learn if you have a case, contact our Northern California law firm. Whatever the cause, the injured person will need lifelong care. Our law firm consults with life planners, medical specialists, and rehabilitation experts to develop a strong case for compensation for your injuries. The primary goal of our spinal cord injury cases is to get the resources that allow the injured person as much independence and control as possible. We have successfully obtained needed compensation for many spine injury victims. Contact our Hayward, California, law firm to learn more about this aspect of our personal injury practice. We help people injured through no fault of their own in communities such as Oakland, San Francisco, San Jose, Sacramento, Stockton, Santa Cruz/Monterey, and throughout Contra Costa County.